Just Hanging A-Round. 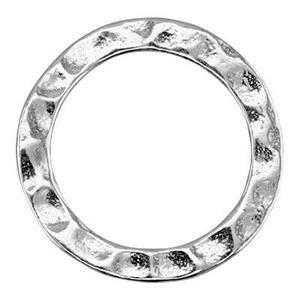 Our S125 – Bright, Cast, Sterling Silver 15mm Hammered Ring. The perfect Round for Hanging in your Earring Designs or from one of your fabulous Necklace Designs made from our many Sterling Silver Footage Chains.